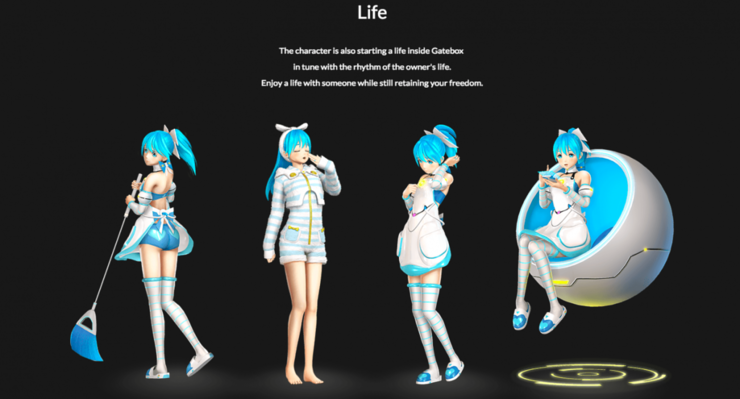 Get ready for Gatebox, a new Japanese holographic virtual assistant creation with the character taking on an anime look and wanting to have a relationship with you. At the moment Siri and Alexa are probably two of the most well known virtual assistants, but with the arrival of Gatebox that is about to become a thing of the past and move to the next level. Coming across like something out of Spike Jonze's 2013 movie Her, is this new addition to the market from Japanese company Vinclu. 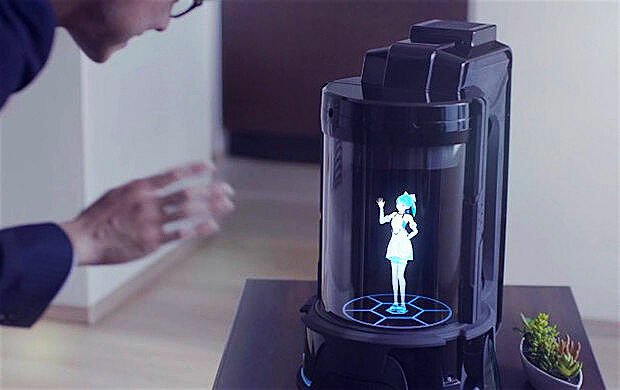 Called Gatebox it features a hologram display with an anime-style character named Azuma Hikari who, imbued with artificial intelligence, becomes an interactive personal assistant. The device comes equipped with a screen and projector along with microphones, cameras, and sensors which can detect temperature and motion. This way Hikari, which means "light," can interact with the owner of the gadget (or "master") on a more personal level. 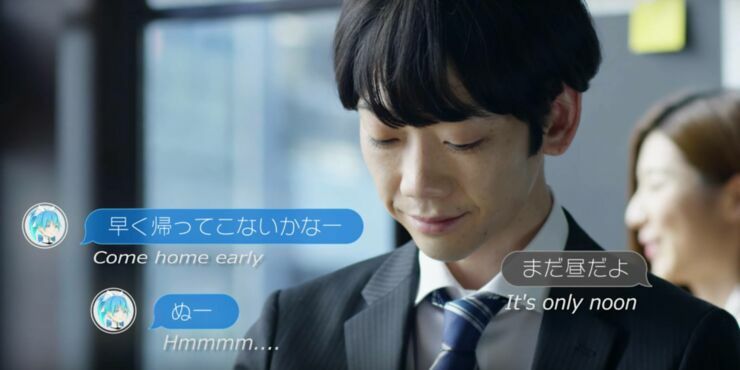 At the moment she can't converse verbally with you but she can be communicated with, in Japanese only though, through messages in the app that comes with Gatebox. 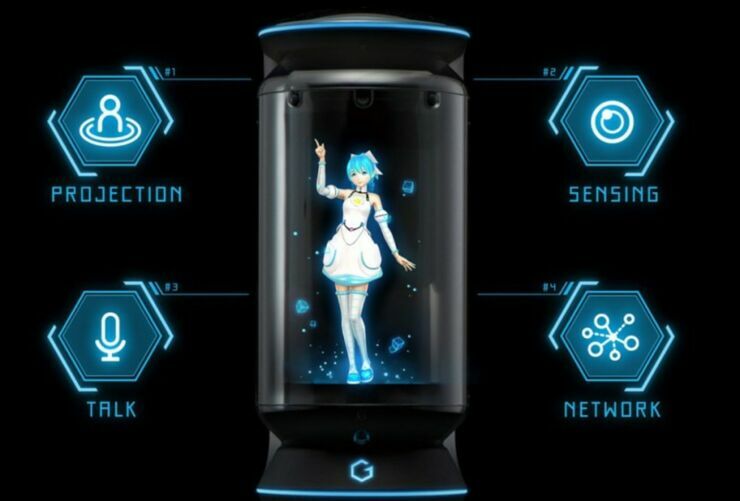 She can also control smart devices in your home and sense your face and voice to know it's you, with the idea being that, when you wake up in the morning, there she is to greet you. Not just greet you though, but to keep you company and run through your to-do list for the day. Then, when a day's work is done she will welcome you home when you step through the door after work. Gatebox have even created a whole website about Hikari. It says she's 20 years old, her hobby is watching anime, and her specialty is making fried eggs. "Hello, I am Azuma Hikari." it says. "Since I was longing for the world for a long time which I had never seen, I'm glad to become a 'Dimension Traveler.' Of course I want to know new things, and I hope I can help Master. Saying so, I may fail and even bother you... I am still studying, but I'll do my best to help you! I will fly over dimensions to see you!" If this all sounds a little strange, well, that's probably because is is, and it has raised concerns. Some articles have said that Gatebox is symptomatic of the problem facing Japan which has seen many young people avoiding relationships to remain celibate. "It has reached the point that Japanese media has even come up with a name for it: sekkusu shinai shokogun—celibacy syndrome." reports Newsweek. A device like this is seen as effectively aiding that rather than addressing the problem—in fact they're capitalizing on the issue. Still, if you are lonely or you just really like anime, Gatebox could be seen as way to interact with the characters you enjoy. If there was a Star Wars one that let you interact with a hologram Obi Wan or something, people would lap it up. It's thought that they'll be more characters to follow from Hikari too. 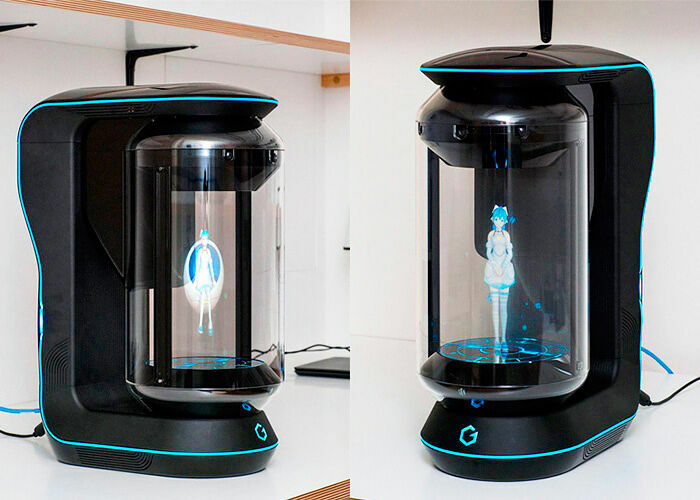 A 'Gatebox Home Live' version has already been demonstrated with Japanese hologram singer Hatsune Miku. 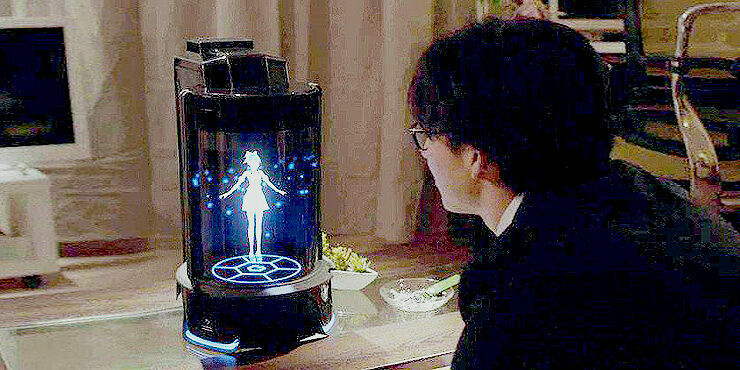 "Gatebox is the world-first virtual home robot with which you can spend your everyday life with your favorite characters." say Vinclu. "The reason why we develop Gatebox is not because we are just pursuing entertainment or convenience. We want the characters to be naturally in our daily lives and spend relaxing time with us. 'I want to live with my favorite character.' We dreamed of such world and we started this project." You an order your very own Gatebox for around $2,600.00 but there's only a limited run at the moment of 300 (and it can only communicate in Japanese). Find out more on their website.